Most people understand the negative effects that smoking can have on their own health, including an increased risk of heart attacks and lung cancer, but they often still need some extra motivation to quit smoking. 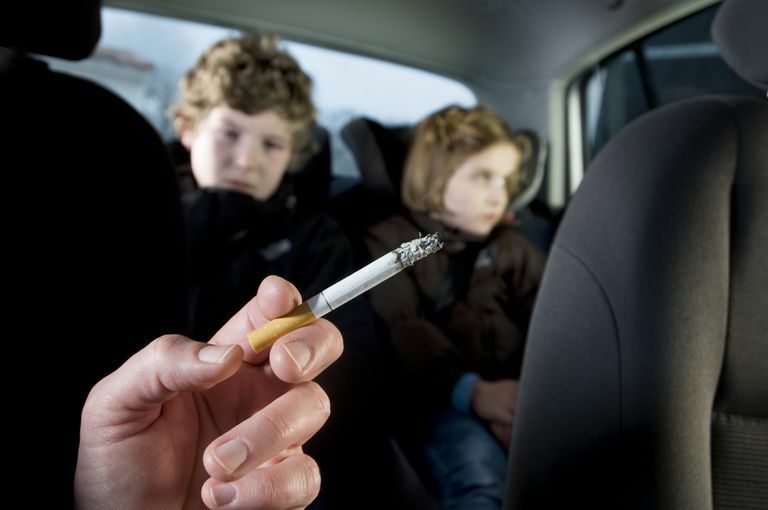 Understanding the effects of secondhand smoke on our kids may help you give up smoking. Although they may stop smoking during their pregnancy, many of these mothers do start smoking again after their baby is born. This postnatal exposure to smoke by their children is also bad though. Being exposed to someone that smokes, even if they just smoke outside the home, is thought to increase a child's chance of having ear infections, allergies, asthma, wheezing, pneumonia and frequent upper respiratory tract infections. Smoke can also trigger asthma attacks in many children and they are often worse than in children who aren't exposed to someone that smokes. And infants who are exposed to a caregiver that smokes, or a mother that smoked while she was pregnant, are up to 4 times more likely to die of sudden infant death syndrome (SIDS). Improve your own and your child's health by getting some help quitting smoking. If you need another reason, remember that kids of a parent that smokes are more likely to start smoking themselves when they get older. Do you want your kids to have an increased risk of lung cancer or heart attacks because they learned to smoke from you? If you can't quit for yourself, quit for your kids. If you can't quit, at least don't smoke inside your home or your car or other places that your children will be directly exposed to the smoke. Remember that this doesn't totally protect your children from the effects of secondhand smoke, though. American Academy of Pediatrics: Tobacco's toll: implications for the pediatrician. - Pediatrics - 01-Apr-2001; 107(4): 794-8. Case-control study of attention-deficit hyperactivity disorder and maternal smoking, alcohol use, and drug use during pregnancy. Mick E - J Am Acad Child Adolesc Psychiatry - 01-Apr-2002; 41(4): 378-85. Involuntary smoking and asthma severity in children: data from the Third National Health and Nutrition Examination Survey. Mannino DM - Chest - 01-Aug-2002; 122(2): 409-15. Smoking and pediatric respiratory health. Joad JP - Clin Chest Med - 01-Mar-2000; 21(1): 37-46, vii-viii.